Treat yourself to an audiobook this summer - please. I am a huge crazy fan of audiobooks. I evangelize for them at every opportunity. Please let me take you down my audiobook rabbit hole so you can love them, too. Enter, Harry Potter and the Sorcerer's Stone on audiobook, read by Jim Dale. Ahh. I loved every minute of it, and listened while taking the kids to school and driving home empty-minivan'd. UNTIL. One day I took my daughter (4 at the time) in to her gymnastics class, then went back to the car and stayed in the parking lot with my son (6 at the time) and listened to another hour of HP. When my daughter got back in the car at the end of the class she was AGHAST that we had listened without her. I, for one, was astonished that she was really paying attention. She was FOUR FOR CRYING OUT LOUD. But alas, I learned then a lesson I keep having to learn over and over with this amazing child: do not underestimate her. Also, do not assume she's not paying attention. She sees/hears all. Little antenna, I call her. Tunes in to what is going on and pays attention. At any rate, we began our family listening right then and there, and I no longer will listen to "our" book when both children aren't in the car. It's led to some funny business, where one or the other will ride with to take their sibling somewhere *just so we can listen some more* to whatever book we're on. And we are always on a book. In a book? Listening to a book. Always. 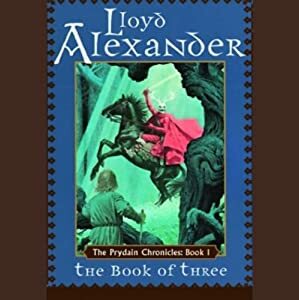 The Prydain Chronicles by Lloyd Alexander- one of our favorites. Start with The Book of Three. A great book for audio because many of the names are based on Welsh, and can be difficult to parse in text. Plus the narrator makes the various voices so funny. ANYTHING AT ALL by Tamora Pierce. In particular, though, start with Wild Magic. Allow some leeway for the so-so narrator (over-enuciator.) 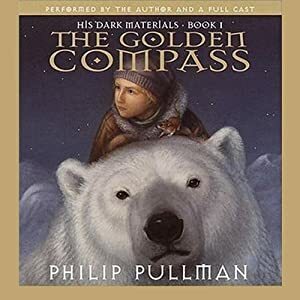 We loved this book and it hooked us on all of Tortall. We've listened to almost every book set in this world, my 12 year old son in particular has steamed his way through even the auxiliary series' set in this world like the Beka Cooper books. Enchanted, by Alethea Kontis - my favorite book of 2013! Rick Riordan books like Lightening Thief, though I find the more recent titles of his get a little exhausting (maybe I'm just burnt out on the author?) as they are long and very action-packed with little downtime. My goodness, this is quite a list already but I know it's very incomplete! I'll work on adding more books to the comments, please add yours too! Note: I didn't include Code Name Verity in my list above because it's a much more mature book, less kid-friendly, but I can't let it go without a mention. Code Name Verity was the best book I've ever read. Here is my Goodreads review of it. I was saddened to hear last week that the husband of Zoe Keating, one of my all-time favorite musicians, has been diagnosed with late-stage metastatic cancer. They have health insurance, but apparently it does not cover nearly enough of the very, very expensive treatment. And to make matters worse, apparently the hospital didn't send Blue Cross the proper paperwork, so Blue Cross sent her family a letter saying, "Coverage for the requested service is denied because the service does not meet the criteria for “medical necessity” under your description of benefits... we cannot approve your hospital stay for cancer. We do not have enough facts to show that it was medically necessary." Later, when talking to a representative, Zoe learned that apparently this is the form letter they send out when they don't get proper paperwork from the hospital detailing what care was provided/needed. Wait, what? The letter is not even a "Sorry, we need more info before we can cover." It's instead 'YOU ARE DENIED." Yeah, Blue Cross (who is my insurance company), you might want to work on that wording. So! 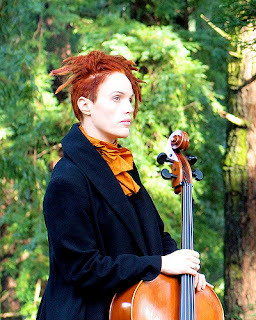 If you are in the mood to acquire some great cello music, now would be a good time. Here is the link to Zoe's Bandcamp page. She doesn't have a straight donations page at the moment, but bandcamp allows you to pay any amount over the asking price for an album. You could also buy Zoe's music on ITunes, but she gets a greater percentage of the cost of the album if you go through bandcamp. For my last music post, I talked about a group whose music I used to create a dark, atmospheric mood for writing. But this time, I’ll switch to music that still has dark undercurrents, but is also lovely and even hopeful at points. At least, that’s how I hear it. I first came across Zoe Keating many years ago when she was the opening act for Imogen Heap. One woman and her cello seemed an odd opening for an electronica artist, but I was almost immediately transfixed. I desperately wished for a seat so I could close my eyes and focus on the sound, rather than the jostle of other concert-goers and the fact that I’d stupidly worn heels to a standing-only concert. In any case, I've been hooked ever since. (Permission through Zoe's flicker album; shared under a partial license, as long as I attribute the work to its original source - flicker album here). I listen to Zoe's music when I need inspiration, or in writing any bittersweet passage. I listened to Fern continuously when writing the last chapter of my novel, Graveyard. You can also hear a longer selection of her music on her Soundcloud page. Take a listen, and have a lovely summer evening. With MaryAnn's departure from the blog, we have a bit of a hole on Tuesdays, and I'm fixing that. This is Sheena, in case you were wondering. I've moved to Tuesday! Recently I read this article, and it CHANGED MY way of writing forever. So helpful for story structure, and world building. Read it, and then come back, or read this and then read that. Or just go read books, your call. EIGHT CHARACTER ARCHETYPES OF CHUCK. 1. Protagonist: Chuck Bartowski. He is the Hero, the every man, and adorably played by Zachary Levi. I actually thought I understood this one, but after thinking about the article, and analyzing my own writing, I've learned a lot about heroes. The Hero, doesn't have to be the view point character, (like in Sherlock Holmes) but the Protagonist is the one whose shoulders sits the story, the one who grows the most, and the one who is directly opposite the Antagonist. The Protagonist needs to have a goal. In Harry Potter, Harry's goal is to defeat the guy who killed his parents. When choosing your Protagonist, its usually the one who battles the big bad at the end. In the end, it's Harry and Voldemort. But Chuck is a reluctant hero. He doesn't have large goals or ambitions, which is a character flaw, not a story flaw, but they had to balance this flaw by giving him small manageble goals. 2. Antagonist: On the show, every episode is called Chuck verses the (insert Antagonist). Every episode has a beginning, middle, and end, because in every one Chuck battles something. A terrorist is going to attack at Chuck's sister's wedding. Chucks goal-- to stop terrorist from attacking at Ellie's wedding. Beginning. Middle. End. What's cool about this, is that it gives Chuck the ability to grow. Once he's defeated a villain, he learns from it, and he can fight bigger bad guys, and worse circumstances. What weakens this choice, is that the bad guys can be sort of one dimensional and weak, because you don't have a whole story to learn about them, so it makes the victory at the end of the series be less about satisfaction and justice. Generally speaking, in Chuck it was about cool fight scenes, and personal victories. Still good, but definitely something they had to fight against. When choosing an Antagonist, choose someone who is directly opposite of the Hero's goals, the person who is standing in the way of their goal. If Harry's goal is to defeat the guy who killed his parents, then understandably, Voldemort may take issue with that. But villains need to have goals too. Goals that are completely opposite of the Hero's goal. So Voldemort's goal, is to destroy the boy who defeated him. This is a Character whose goals are completely in line with the heroes. There main goal in life is the same as the Hero, or completely in line with the Hero's goals. Ron Weasly's goals were to make his family proud, and as his family were against Voldemort, then Ron's goals matched Harry's goals. Sidekicks are awesome. They give the hero likability, a history, a buddy to talk to while on adventures, someone to discuss plot type stuff with, and someone to save. Sidekicks were a big aha moment for me. I love a good internal monologue, but a sidekick can say all those other things the character is thinking, so it can be dialogue. What's awesome about Morgan, is that he grew alongside Chuck. They start out pretty equal. Same job, same history, but as Chuck grows, Morgan didn't keep up. This similarity/ contrast shows how far Chuck has come, but eventually, Morgan found ambition, direction, a pretty girl, and even the intersect, in my favorite episode of the show ever. Look how skeptical he is! Skeptics are the opposite of a sidekick. While sidekicks are like, "Yeah, let's go do it. Everything you say is awesome! ", Skeptics are like..."Everything you say is stupid, and stay in the car." Skeptics are important, because sometimes the hero is stupid, and you the writer need to protect them from their own shortcomings. Skeptics give you a voice for your most critical reviewers. If you worry that a character might come off whiny or weak, have the Skeptic say, "You're whiny or weak," and that skeptical reader will be like, "Oh, it's a character trait, not that the writer doesn't know that this character is whiny and weak." See useful in the dictionary. Skeptics and Sidekicks have a cool dynamic. That's why Morgan and Casey work so well together. They are opposite on the character archetype wheel, but, and this is important, they have the same goals as the Hero. They just think maybe they could do it better. So there's conflict, but they have to learn to get along, which leads to loads of fun. The Guardian is the Gandolf of the group. Their goal is different, because their goal is simply to protect the Hero. They can believe in the Hero's goal, but their motivation springs from wanting to keep the Hero safe. They are the moral standard, and decide what is right or wrong, and also who you can trust. They are the touchstones for the story. Because of this, Guardians often leave or die, because at some point the Hero needs to be strong enough to protect themselves. But Sarah can't die, because Sarah is also the love interest. Love interests are always one of these archetypes. Sometimes they're the Skeptic, and the witty banter shows that the Hero can keep up. Sometimes they are the Sidekick, whose goals are completely entwined, or Emotion, or Reason, or sometimes even the Antagonist whose goal is completely contrary to the Hero. But the love interest gives the character another 1/2 which makes them equal to the hero of the story. Antagonists are already equal on the character wheel, so if you're writing a love story where the love ends, make the two characters each other's Antagonists, so the balance remains. Contagonists are tricky. I'm not completely sure I understand this correctly, but contagonists are the heroes of their own story. They have their own goals, that aren't opposite the Hero, but maybe lay perpendicular to the Hero, and alter the Hero's story. Draco Malfoy's goals were to make his parent's proud (same as Ron's) but because his parents were aligned with the Antagonist, Draco and Harry ran cross purposes. Aragorn was in the middle of his own journey when he met the Frodo and altered Frodo's journey, but his story continues, even separate from the Hero. Bryce Larkin altered Chuck's life by giving him the intersect, but his goal wasn't to alter Chuck's life, it was to do his job and hide the intersect. The alteration to Chuck was just after effects of Bryce's goals and choices. Contagonists can be good guys or bad guys, but while their character affects the entire scope of the story, it doesn't effect the story structure itself. A contagonist can be defeated or made useful in the first half of the story and it go on. But their story, or secondary plot, won't be complete until their goals are met or until the character dies. The Contagonist is opposite the Guardian, because they are making their decisions without regard to the Hero. Because they're opposite the Contagonist and the Guardian have an interesting and equal relationship. But as it's farther away from the hero than sidekick and skeptic, the conflict is less. Gandalf and Aragon are friends, Draco and Dumbledore don't hate each other, etc. I'm clumping these together, because while opposite, these two archetypes have a similar purpose. When the Hero needs to solve a problem based on logic, they visit Reason. When the Hero needs to solve a problem emotionally, they visit Emotion. Both are important, and both are equal. They are perfectly in balance. But because they are steps away from the Hero, they are lesser characters, and the conflict between them is less. Because of this, you can pair them. I've seen them as The Hero's parents, or in this circumstance, a married couple. But they also can be very separate, and never even meet. That's one of the things I've learned though. I always see a character as how it relates to the Hero, but as equals, some of the the best relationship dynamics can be from secondary or tertiary characters. When I went through my WIP, I paired up the equal characters and found some really cool dynamics between them, and uncovered a secret that fixed a plot hole. So I hope this is useful to you. Now the article goes on to say that not every story has all of these characters, or sometimes they are combined. The emotion character is also the Guardian, or the Skeptic also the Reason, or the Antagonist, or so forth. This has made me want to analyze every book I've ever read, especially the ones that have really stuck with me. It's amazing how many of them fit this archetype, and the balance that comes when they do. 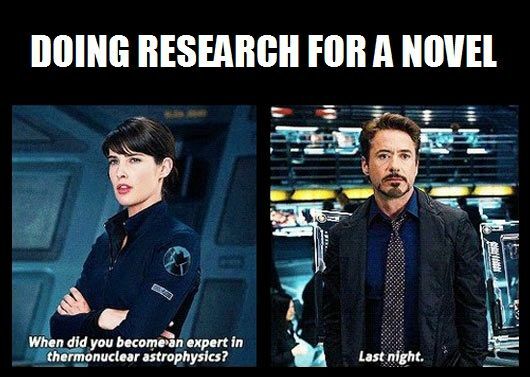 Try it on your WIP. Every Saturday, I participate in a weekly meme called Six Word Saturday over at my personal blog. So this morning, I dutifully got up, wrote my six words (they were: They flushed the fire hydrants yesterday), downloaded the accompanying picture (of all the neighborhood kids playing in the water) and posted the whole thing to my blog. Then I headed over to Show My Face, who hosts the meme, but there was no linky. Weird. About an hour later, my sister called me. She calls me on her way to work most mornings, but never on a Saturday...I'm sure you've already figured out my problem. Today is Friday! It's a four day weekend for Memorial Day, which means that instead of Six Word Saturday, which I can whip out relatively quickly (though not as quickly as you might imagine), it was time to do my Proser blog post, which has been known to take my entire day. So memes are on my brain. What is a weekly meme and why would I want to do one? I'm talking about one of the other definitions of meme: a cultural item that is transmitted by repetition and replication. In blogging, it is when one blogger decides they are going to blog about a certain topic each week, and sets up a system for other bloggers to blog about the same topic and link the posts together (a linky). An important step of having a successful meme is to get the bloggers to visit each other's blogs. Some memes have become so wildly successful that they have hundreds or even thousands of blogs linked together. Those were the ones I found at first. My favorite big meme for writers is IWSG...the Insecure Writer's Support Group. They post on the first Wednesday of every month, and at the moment they have 308 blogs on their linky. The posts can be about writer's doubts, fears, struggles, accomplishments or words of encouragement. I love this idea! My problem was that I always remembered on the second Wednesday of every month, or the third Saturday...I know, with a little preparation that wouldn't have been a problem, but I haven't been able to make IWSG work for me. On of my favorite reading memes is Top Ten Tuesday, which is hosted by the Broke and the Bookish. They don't number their participants, but last week had somewhere around 300. This is another meme that I tried and failed to do, because it is a lot of work, at least for someone like me. Every week they give out a topic, and bloggers write their Top Ten favorite books about that topic. This week the topic was friendship. Perhaps some people can just whip that out, but I have to look through my bookshelf, look at blogs about books, hunt through amazon...and then when I finally have a list, I have to find pictures, create links...I just can't do that every week. But I'd still like to. I saw that on the Broke and the Bookish, there are 3 bloggers, so they each pick three or four books. Maybe we Prosers could handle something like that???? I find I like the smaller memes better, because it is easier for me to connect with people in smaller groups. All the big groups started out as small ones, with a stalwart, core group of people who got to know each other. That's what I'm looking for in a blogging meme. The two I'm participating in over at my blog are What's Up Wednesday and Six Word Saturday. 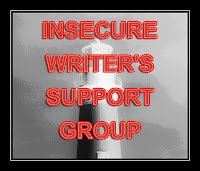 What's Up Wednesday is a writer's support group where we answer the same questions every Wednesday--what are you reading, what are you writing, what inspires you and what else have you been up to? I'm loving it because it's a group of super enthusiastic and supportive writers, and I'm in dire need of both those things in my life these days. Six Word Saturday is a hodge podge of people, but many of them seem to be world travelers or photographers. They are also a supportive bunch, and they are all doing such fun things. 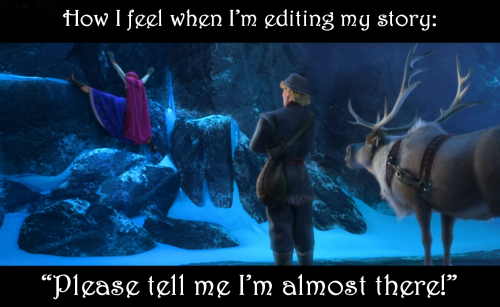 This meme appealed to me because I have a tendency to be wordy (I'm sure you never noticed) and so I often don't blog simply because it takes so long. But six words don't take long at all. All week long I find myself pondering what sentence would sum up my experiences for the week. Then on Saturday I write my sentence (and then a few more to explain it) and find a picture to go with it, and BAM I'm done! Why get involved with a blogging meme? It's a lot of work, writing a blog post and then visiting a bunch of other blogs and thinking of comments (I'm DREADFUL at comments. But getting better). But it is so fun to go visit my blog and find ACTUAL COMMENTS from people who have visited. Comments make me so happy! And slowly I find myself getting to know people. Awesome people, who help me be enthusiastic when I might be bored. Last week the entire world seemed to be excited that I was finally reading Cinder. I felt like a rock star! And those people who loved Cinder were also blogging about the books they were reading, and I found so many books for my TBR pile, and even better, I found so many people to talk about books with! I am surprised and delighted by how helpful memes can be. First of all, it can be hard to think of blog content, and these memes can help you know what to write about. They can give you followers who are interested in what you are writing. The blogosphere is a huge and uncharted place. Finding a group of like minded people is important. When you visit other blogs, you make friends who know stuff you don't know. They will share resources and information with you. Amazing things are going on in the worlds of reading and writing. But you've got to find out what it is before it can be of any use to you. And if you can find them and share them with a group of awesome people, well, that's happiness, right there. What are your favorite memes?